This is a illuminated pen holder that I made out of a couple recycled hard drives. The LEDs receive power from the standard USB cable connected to a computer. The stand for the penholder is taken from a clip light, and the penholder itself is made from 3 hard disk drive platters. Also, I hid a small 4GB flash drive inside the base hard drive for some hidden storage. If you want a copy of the video's narration and a schematic, you can find that here. If you have any questions or suggestions, let me know by adding comments or send me an email (which you can find on my YouTube channel). 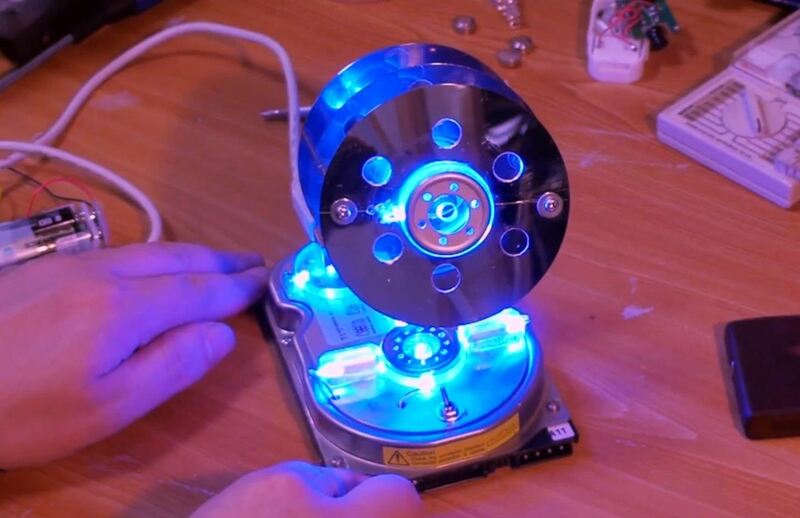 How To: Hack a Hard Drive into a Hidden Flash Drive, Cell Phone Charger & More!